Donald Trump says think. Elsa agrees: We think or the West sinks. 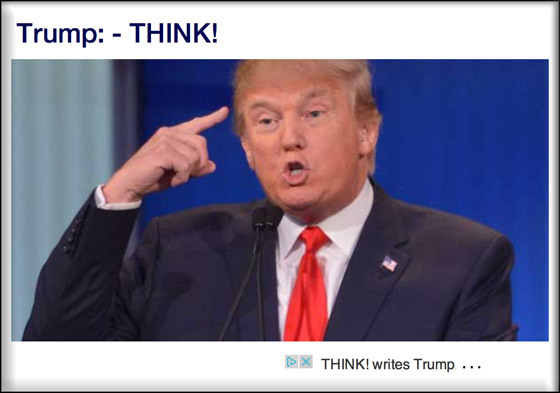 Donald Trump says think! Face what is happening in Europe. We do something or it's the same in the States. 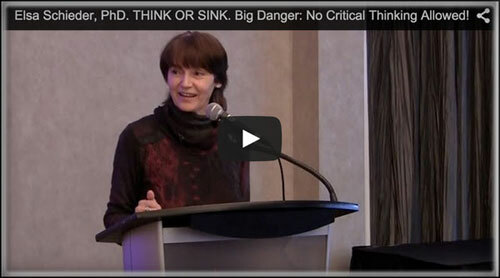 YES, THINK OR SINK. Face what is happening in Europe. Face it! We do something or it's the same in the States. YES, THINK, Elsa agrees. THINK OR SINK. BRAIN WRECK, the death of the West. Without thinking, there is no freedom. We're locked behind the blocks in our heads. we don't recognize obvious dangers. We need to face what is happening in Europe - and in India. We learn from that, or it's the same in the States and Canada and Australia and New Zealand. 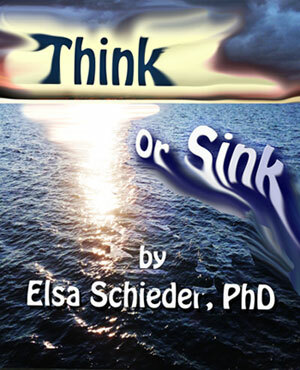 YES, THINK OR SINK. If people could think, who in the States would ever have voted for Obama a second time? And who in Canada would ever have voted for Trudeau even once? Obama, by the way, has just said (January 2016) that the American education system is now fixed. It's time to get working on the next step: getting computer training for all kids. I say: you've got to be kidding! What there is, is an indoctrination system, not an education system. "All religions are equal." "All cultures are equal." "All opinions are equal." Time to get started, not time to move on!! Time to start teaching students the importance of facts and logic. Please help get this message to Donald Trump. What's the goal? Win-win. He would gain more ammo. And I would gain by getting ideas I care about way further out into the world.